The much-anticipated decision by the Federal Reserve Board at the Sept. 17 meeting to hold interest rates near zero was met in the resource community with a mixture of relief and disappointment. The 9-to-1 vote citing global economic pressure on inflation left open the possibility of a hike at the December meeting. The Gold Report asked the experts in the resource sector what this means for precious metals and oil prices, and what signs they are looking for that a different outcome will be announced in December. Joe McAlinden, founder of McAlinden Research Partners and former chief global strategist with Morgan Stanley Investment Management, was disappointed that the Fed "blinked." He called the decision irresponsible and attributed it to worries about China's growth. The veteran investor saw the status quo as bullish for precious metals and oil, but warned, "As the Fed continues to postpone moving towards normalization of interest rates, the potential for future inflation from years of excessive stimulation increases with every delay of the end of the zero interest rate policy." He continued, "Based on today's decision, we now need to watch economic data from China and the performance of the markets themselves. I do not believe that the Fed's focus on those points is appropriate. Nonetheless, it is now clear that these will influence the timing of the next Fed move. Also, and more appropriately, we should be watching average hourly earnings, overall signs of strength or weakness in the U.S. economy, and the trend of the core PCE deflator." Frank Holmes, CEO and chief investment officer at U.S. Global Investors, called the decision combined with recent negative global Purchasing Managers Index (PMI) (51.10 for August compared to 52.7 in July) "a wash" for precious metals, oil and gas prices, as an increase would have increased the strength of the dollar compared with other currencies and accelerated an economic slowdown. He saw the inevitable decision coming, however, and used it as an opportunity to buy 2-year bonds in the lead up to the meeting. Shortly after the announcement, bond yields began to fall and prices went up. From the Precious Metals Summit in Beaver Creek where he was speaking about global trends, he blamed China's blue skies, a smog clearing brought on by a lack of manufacturing output. "I anticipate a resurgence of exports as the renminbi becomes more competitive with the dollar," he said. He will be watching the October and November PMI numbers for an increase in economic activity, which will be positive indicators for the love trade gold as gifts and jewelry in China and India - and growth commodities - copper, oil and gas. ShadowStats' Publisher John Williams was expecting the Fed to raise interest rates, as he said in an interview with The Gold Report the first week of September, "to begin restoring some sense of normalcy in the monetary system." The decision not to make even a token move up could be cause for concern, he warned. 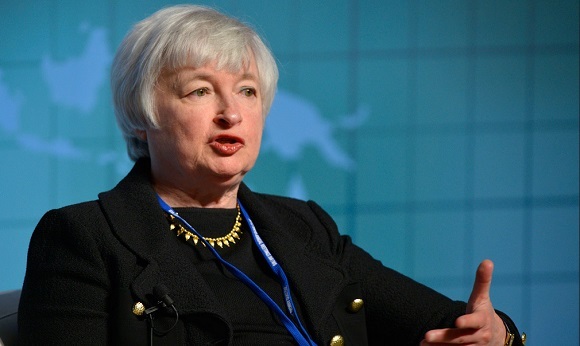 "Market concerns should shift now to looking at what circumstances really are scaring the Fed. The dynamics of intensifying shifts in global perceptions of U.S. economic activity and U.S. systemic stability rapidly should gain dominance over Fed policy in driving the U.S. currency and equity markets, irrespective of future Fed actions or lack of same," he said in a note to subscribers moments after the announcement. When asked for his reaction, John Mauldin, the man behind Mauldin Economics and author of "Bull's Eye Investing: Targeting Real Returns in a Smoke and Mirrors Market," quoted Peter Boockvar, managing director of The Lindsey Group, who lamented that because the Fed had punted again, we are all in for another six weeks of obsessing over when it will happen. "The Fed is implicitly acknowledging that its policy action over the past five years of putting the U.S. economy on a sustainable growth path has been a failure and now if their international concerns become more pronounced, they will also admit to the world that they have no tools to deal with it. I think today's decision was a bad one. The dollar rally should be over and I'm bullish on precious metals (again), as I don't understand at all what the bear case is in it anymore. Other commodities should benefit too from the weak dollar. Be cautious, the Fed did more damage to its credibility today." 1) JT Long conducted this interview for Streetwise Reports LLC, publisher of The Gold Report, The Energy Report and The Life Sciences Report, and provides services to Streetwise Reports as an employee. Most don't get it and never will. Phony inflation stats = no normalizing of interest rates, upon which doing would make just the interest on the national debt more every single year than defense spending. Most don't care how phony the stats get, they seek to blame corporations instead. And to think how it was such fun to make fun of the old Soviet Politburo phony stats. We are now no better, perhaps even less credible, but again, few complain. Until it's too late. Thanks both "left" and "right" both sides of the same coin, "both" to blame for it all. Sorry, but the rate hike is December, ALWAYS DECEMBER. Amazing how people forget this. The FED always surprises. Why? Because the FED is a capricious entity with too much power in its primitive yet gross control mechanisms. The FED sneezes and the markets grab a tissue. The FED smiles and the markets starting singing. SET EXPECTATIONS and take the flippant fancy out of the FEDs findings. Establish a plan and return balance to all the financial instruments. A simple obvious plan: 25 basis points every quarter for 5 years. No surprises. No impulsive market shocking changes. Just a consistent continuous realization of a return to normal. The markets and the government has put the FED on a pedestal. The FED thinks itself a god while we suffer being its plaything. And yet we continue to put up with its impulsive whimsy. Gold, silver and oil all jumped today with the rumor that the probably of the FED raising rates fell due to some metric released. What nonsense! The FED has TOO MUCH POWER (and Wall Street loves it). What would happen if interest rates were set on a scheduled rise up to some reasonable level? What if you could expect that next year rates would be 1%, the following year 2%, and so on? Would you be inclined to start accelerate your borrowing in order to lock in lower rates? Yes. Would you buy that new car or home now to do the same? Yes. Would you take solace knowing that your meager savings were now earning interest? Yes. Would Wall Street quail a bit, equity returning back to balanced levels? Yes. Would investments pulled from the markets then enter capex, expansion and growth? Yes. Set rate expectations and leave them alone! GO AWAY FED! I believe this is the beginning of a bear market for the stock markets, and that gold, silver (maybe even more so), and other precious metals should start to enter a bull market sometime soon. Interest rates will continue to decline, as countries try to make their currencies weaker, but in many countries that means they will have to enter the negative digits soon. Forget about Gold ok? Its going nowhere.